Maureen joined our board in October 2012 bringing an extensive knowledge of health policy and research from many years working for NHS Scotland where she worked on a range of health related topics. 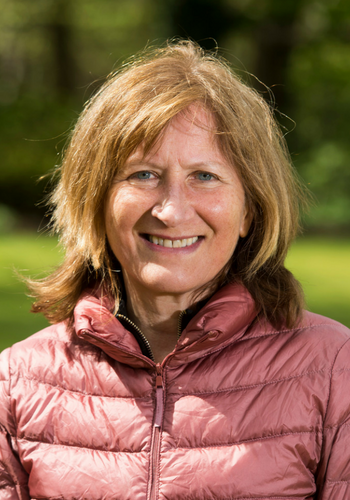 As former Programme Lead for physical activity in NHS Health Scotland, she was a member of the World Health Organisation expert group on promoting physical activity in disadvantaged groups. She recently completed a PhD in Urban Studies at the University of Glasgow, investigating the impact of the 2014 Commonwealth Games on young people living in the East End of Glasgow. She now works as a freelance academic researcher. Running, cycle touring, hillwalking and allotment gardening are her favourite active pursuits. In addition to being on our board, Maureen is the Chair of Cycling Scotland.